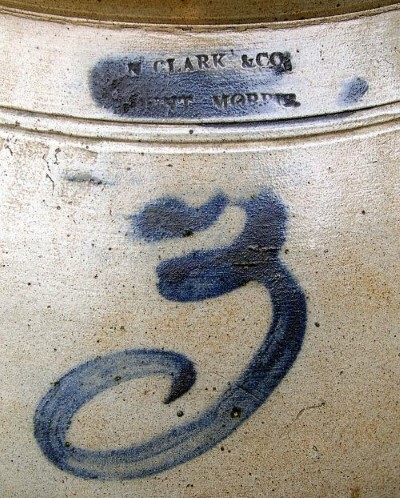 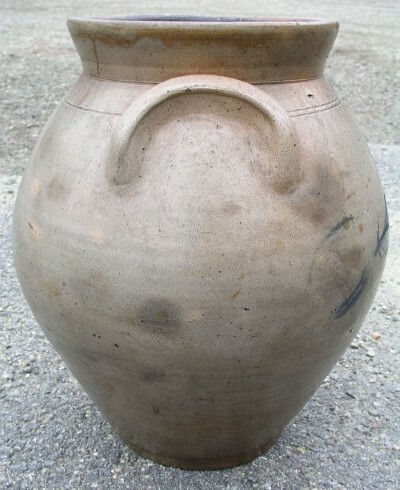 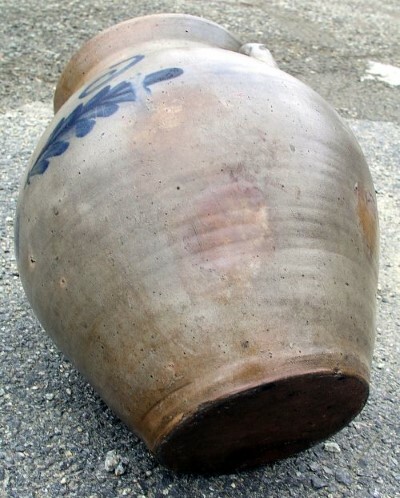 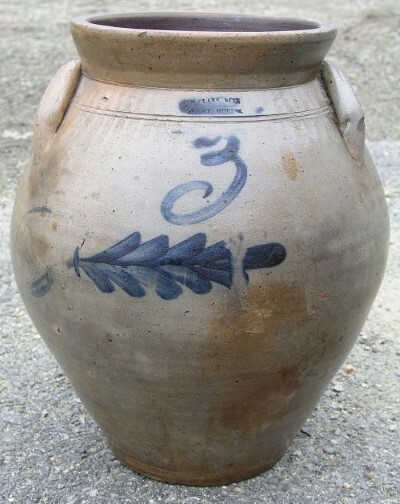 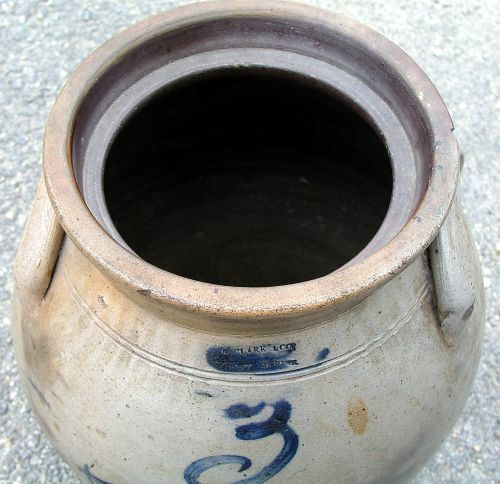 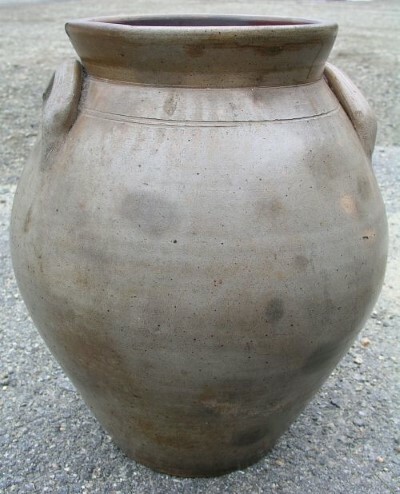 Wonderful early N.Clark & Co. (1835-1846) three gallon ovoid stoneware jar with an uncommon mark on a great early piece of seldom found N.Y.stoneware. 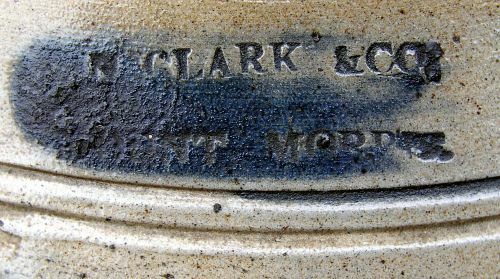 Great condition with wonderful hand tooling marks along entire top edge at the double incised lines. 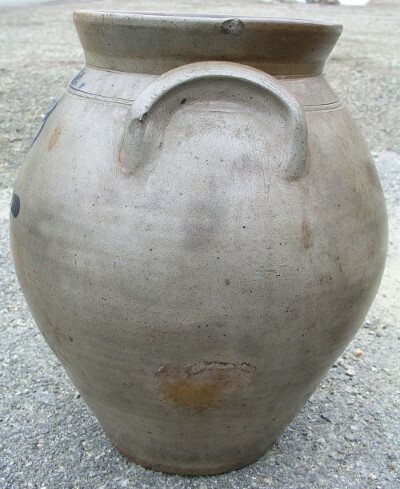 No cracks just a few very minor stone pops and chips none of which are an issue.